In its 16th year, FAPFA recognition is designed to identify and recognize high schools that actively support and protect First Amendment rights of their students and teachers. The honor focuses on press freedoms. The application can be completed by using a SurveyGizmo form. Deadline for submission is Dec. 15, 2015. One adviser and one student editor have to submit entries for Round 1. 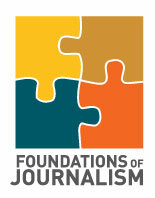 Schools will be recognized at the 2015 Spring National JEA/NSPA High School Journalism Convention in Los Angeles. The deadline is approaching for application for this year’s First Amendment Press Freedom Award (FAPFA). If your staffs have received a Pacemaker or Gold Crown, FAPFA is the next logical step in recognizing journalistic excellence and practice of First Amendment guarantees. FAPFA is awarded annually and previous winners must reapply for continued recognition.